The colours of red, yellow, and blue first emerged in Wallachia in the 16th century, and then again rose in prominence with the Wallachian Uprising in 1821. It was during the uprising that the tenets of liberty, justice, and fraternity was attached to the 3 colours. In 1848, the revolutionary movement adopted a horizontal tricolour of blue, yellow, and red. 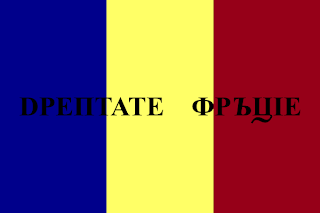 Through the central yellow band, they emblazoned the phrase “DPEПTATE ФPЪЦIE” which translates to "Justice, and Fraternity." Later in 1848, the provisional government announced that the new flag of Romania should consist of blue, yellow, and red vertical stripes. Possibly inspired by the French tricolour, and emblazoned with the phrase of justice and fraternity. The revolution was quelled, and nothing changed until 1859, with the rise of the United Principalities of Romania. This saw the colours of red, yellow, and blue make a comeback, in horizontal form. This flag was only in use for 7 years, being scrapped in 1866. 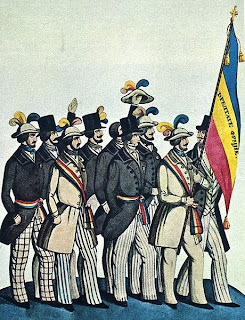 In 1866, the new constitution of Romania saw the flag reorganised so it returns to its 1848 form, of vertical stripes, running blue, yellow, and red, from the hoist. In 1947, the Peoples Republic of Romania was declared, and all previous monarchistic emblems where banned, including the national coat of arms. However ,the Romanian tricolour was kept. Except now, it featured the new coat of arms of the Communist Republic. In 1989, with the people rising against the Communist regime, they began by ripping the coat of arms from the flag, creating a flag fondly named "The flag with the hole." With the ending of the revolution and the resumption of multi-party democracy, the flag was returned to its plain form. The Romanian flag shares similarities with some other states round the world. 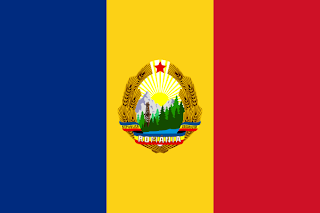 Similar to the flags of Andorra, Moldova, and Chad. 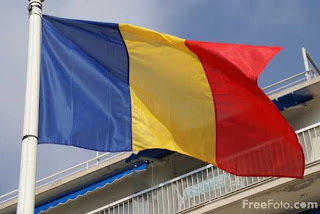 Chad did actually complain to the UN, only for Romania to declare they will not change their flag.